Muscat is upping its tourism appeal with an ambitious mixed-use development. InterContinental Hotels Group (IHG) and Oman Tourism Development Company (Omran) announced the opening of Crowne Plaza Oman Convention and Exhibition Centre in Muscat. The newly opened hotel will be the second Crowne Plaza in the capital and the fifth in Oman, demonstrating the increasing popularity of the brand in the Sultanate. 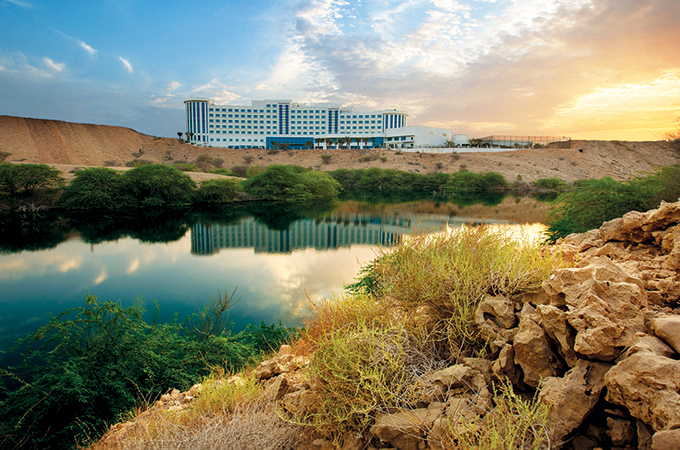 The 296-room hotel is conveniently located 10 minutes from the New Muscat International Airport and is a part of the Oman Convention and Exhibition Centre (OCEC) project, situated in phase one of Madinat Al Irfan, a world-class, urban mixed-use development by Omran designed to meet global standards. OCEC is Muscat’s state-of-the-art commercial hub for business and international events. This precinct is one of many innovative communities currently being developed that are designed to world-class standards in support of the Sultanate’s growing tourism sector. While guests will benefit from the centre’s 22,000 sq m of exhibition space, they will also enjoy overlooking a natural waterway and the surrounding parklands, a wadi, and a nature reserve. With elements that allow for both productivity and recreation, Crowne Plaza Oman Convention and Exhibition Centre is ideal for both business and leisure travellers. The hotel also offers great facilities for a broad range of visitors including two pools, a children’s playground, a large fitness zone, three large meeting rooms and an independent function centre, which includes a glamourous ballroom with a terrace, ideal for weddings and other social functions. Crowne Plaza Oman Convention and Exhibition Centre also boasts a selection of five dining options including Mosaic, that offers an all-day menu and Charm Thai that offers an authentic taste of Thailand in an ambient environment. Additionally, guests can enjoy the best of Belgian food and beverage in a traditional Belgian setting at Le Petit Belge or savour delicious cocktails by the poolside. Visitors can also indulge in an extensive collection of drinks which can be enjoyed in the lobby of the hotel.